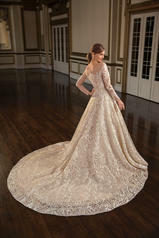 Gorgeous Gemma is the first jaw-dropping wedding gown in The Alexandria Collection by Amare Couture! 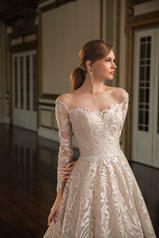 Her bold, regal pattern immediately catches the eye, duchess satin and silver embroidered lace covering her entire silhouette. 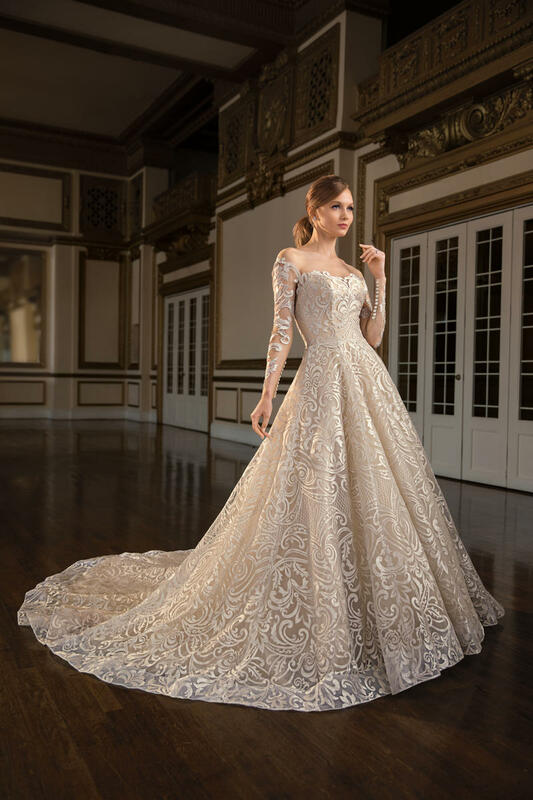 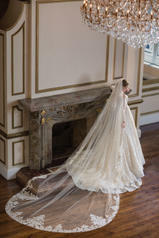 This long sleeve ball gown is unmistakably glamorous, sweetheart neckline brimming with swirling detail, while a semi-cathedral length train billows beautifully behind.